This is Alan from Summer Search Bay Area. 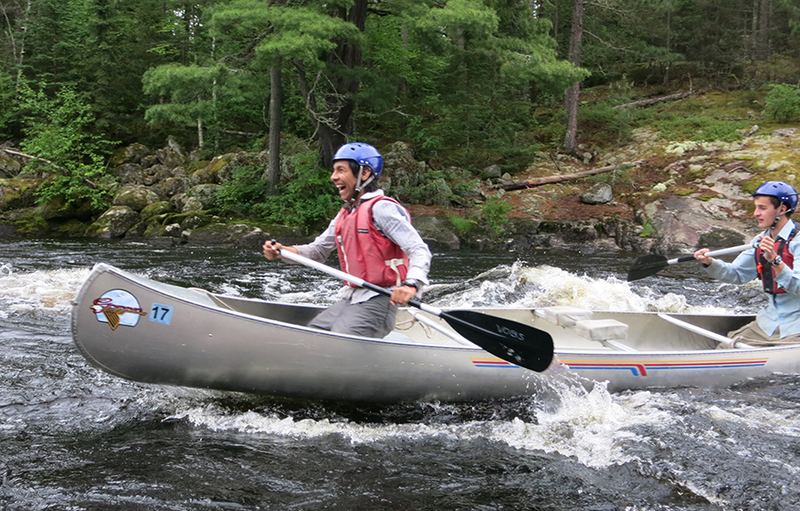 He just completed his FIRST summer experience, which took him on his first plane ride far from home to the wilderness of Minnesota on a canoeing expedition with Voyageur Outward Bound School. The firsts didn’t stop there. Alan had also never been canoeing before, so this was definitely going to be a challenging trip. However, he was excited to embrace these new experiences, even if they seemed scary. And embrace them he did, taking to canoeing like a duck to water—a duck with whitewater rapid skills! Alan described his excitement to his mentor Francisco about the experience in the photo above, when he had the chance to ride the rapids in the front of the canoe for the first time. Seriously, look at the joy on his face! We’re so proud to see our students conquer challenges like these, helping them build confidence and transform what they believe is possible for themselves. Well done, Alan. Really great, indeed.